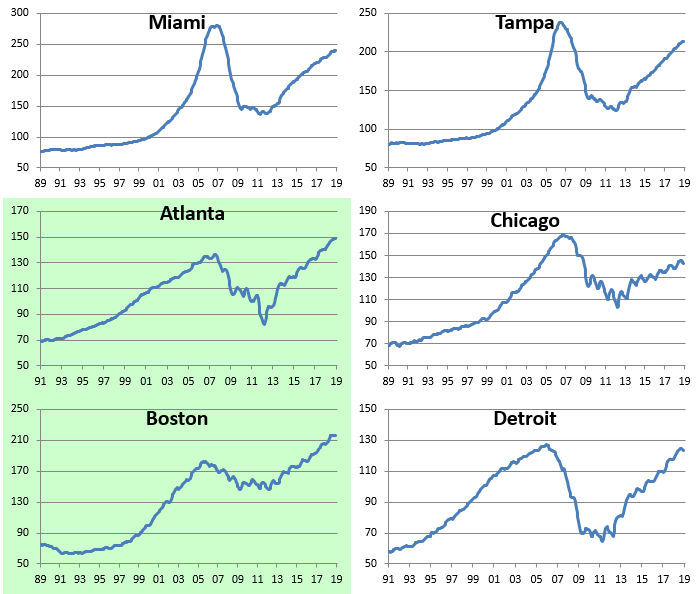 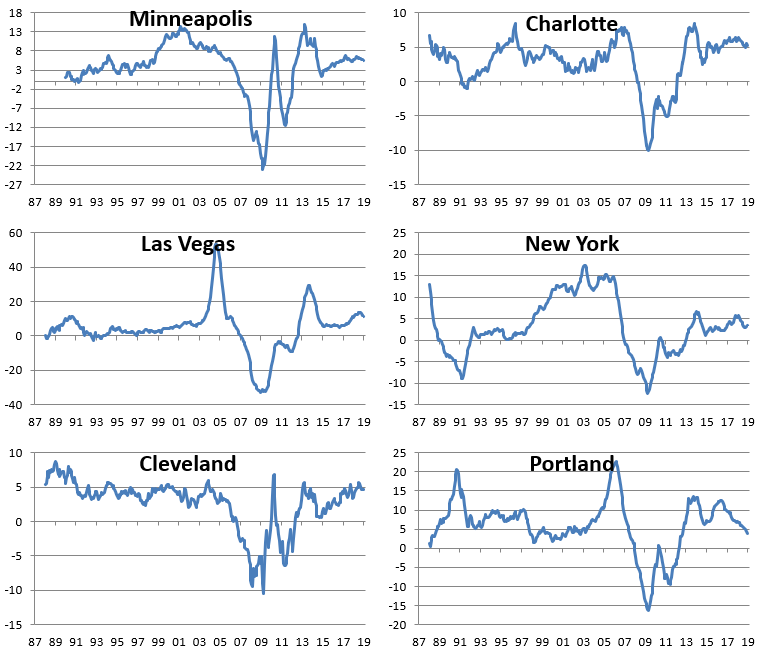 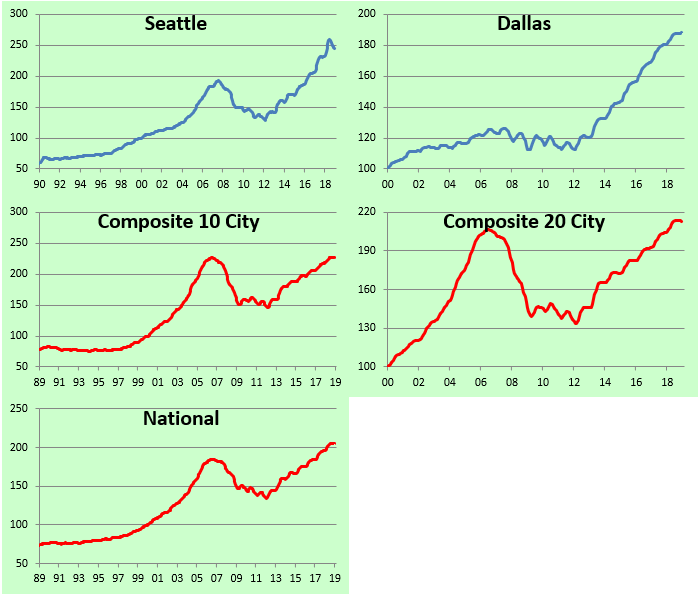 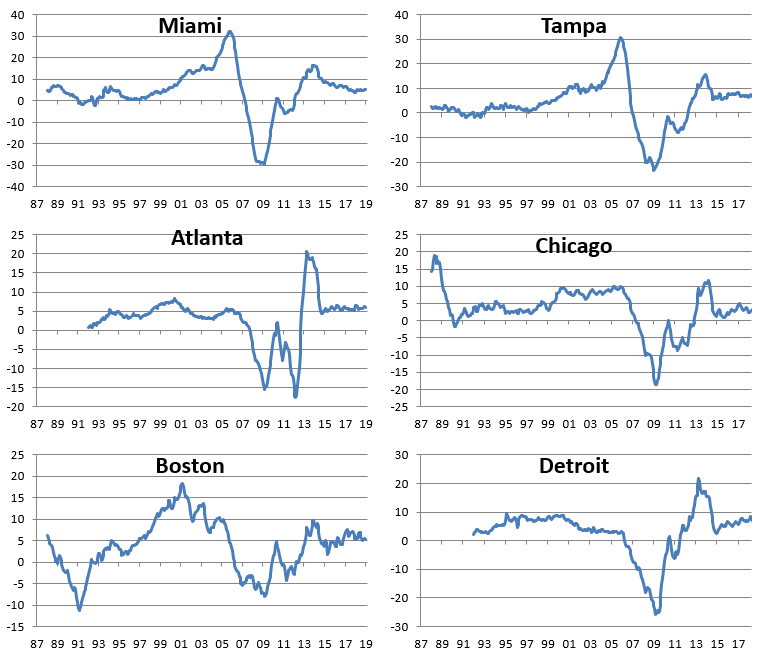 The next chart shows where home prices stand for each city relative to their peak during the housing bubble of the mid-2000s. 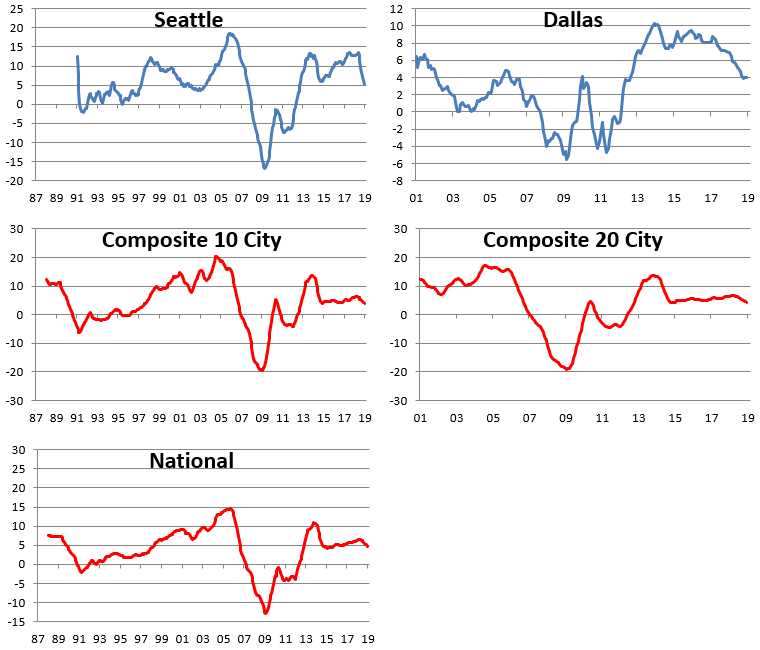 The National index is up 11% from its prior all-time high that was made in July 2006. 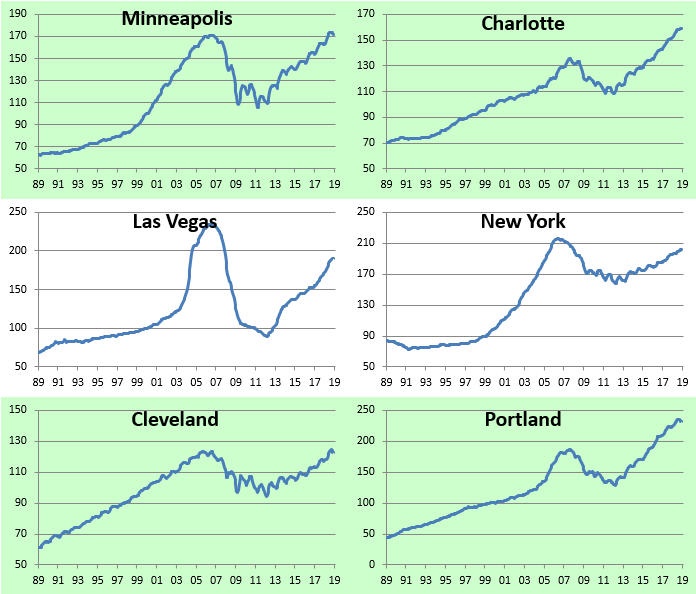 Denver prices have soared the most above their prior highs at +53%, followed by Dallas at +43%. 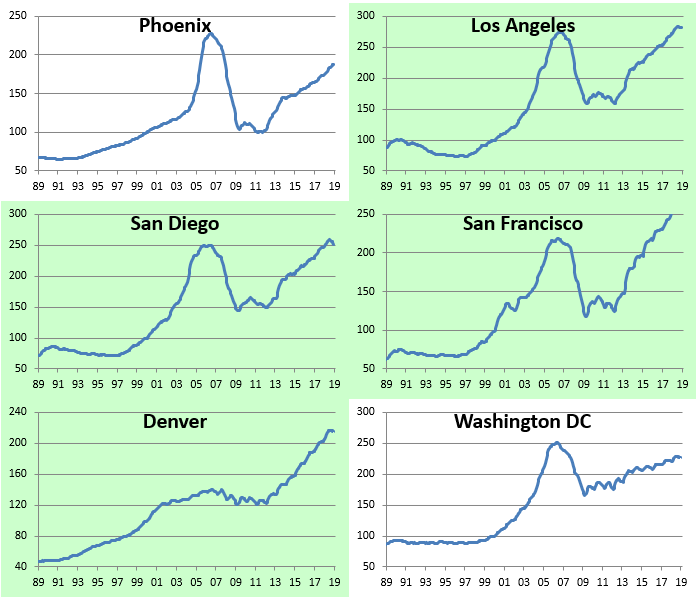 On the flip side, Las Vegas is still the furthest below its housing bubble highs from the mid-2000s at -19%. 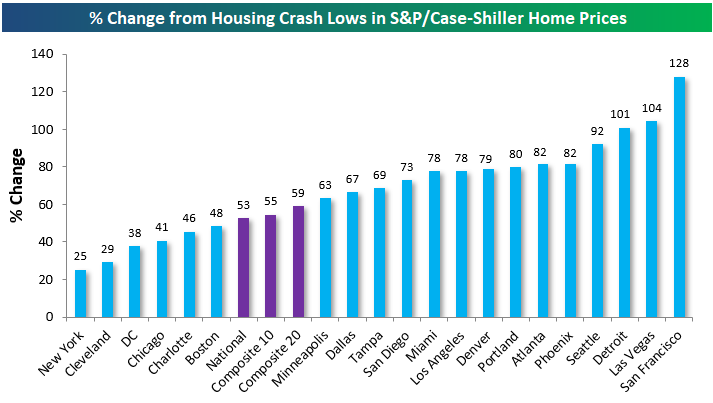 Phoenix, Chicago, Miami, and Tampa are all still 10%+ below their prior highs as well. 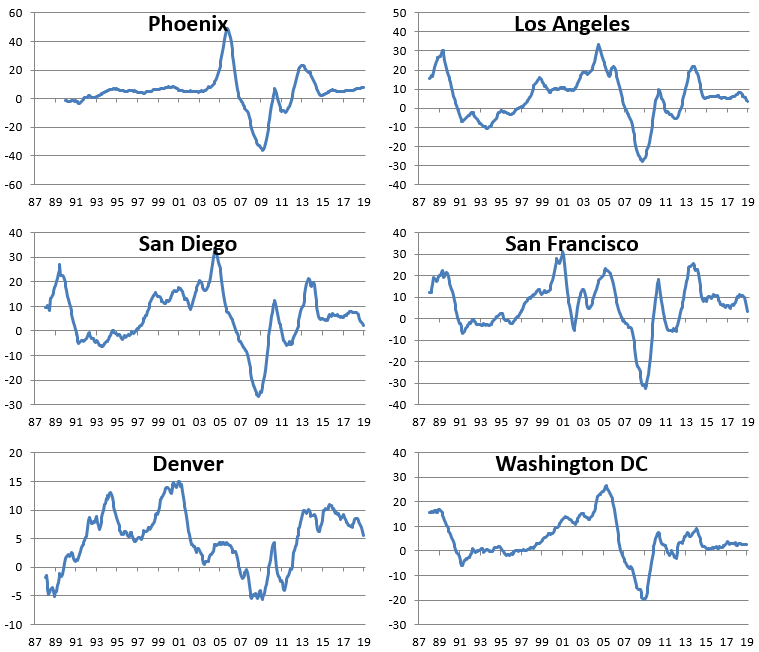 The next set of charts shows the rolling year-over-year change for home prices in each of the 20 cities tracked. 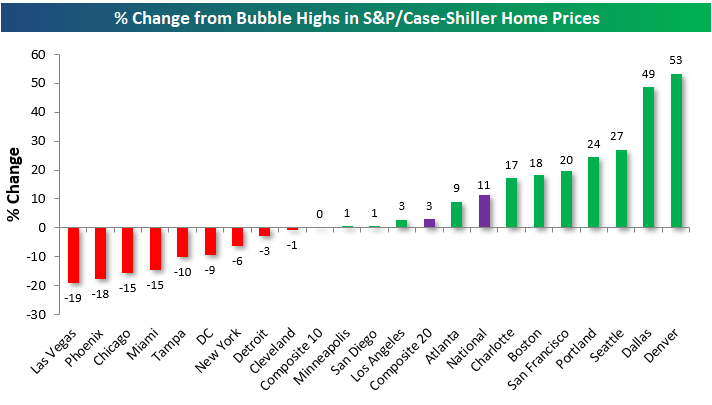 You’ll notice that home price appreciation for the National and Composite indices has begun to turn lower, although it’s still important to remember that it’s positive. 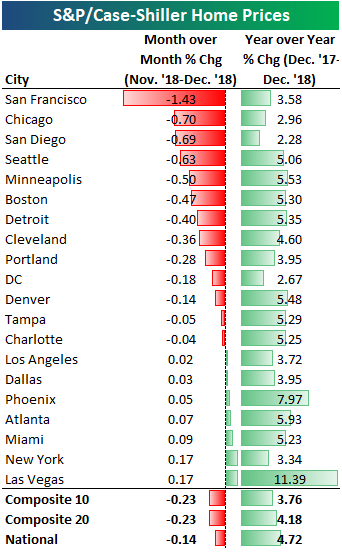 Cities like Portland, Denver, Seattle, and Dallas have seen some of the steepest drops in home price growth, but again, every city is still in the green on a year-over-year basis for the time being.